The Rivers without Boundaries International Coalition believes that the decision on development of a new state company for construction of the "Eg River Hydro" on the tributary of the Selenge River is an intentional escalation of tensions associated with hydropower construction in the Baikal Lake Basin. The RwB regrets this decision has been made during on-going public consultations on Selenge basin hydropower planning, which sent a clear signal of disrespect for consultation process to all participating stakeholders. The RwB hopes that in order to dispel misunderstanding the Government of Mongolia will soon explain to the public how it is going to fulfill its obligations under the World Heritage Convention and other international agreements. 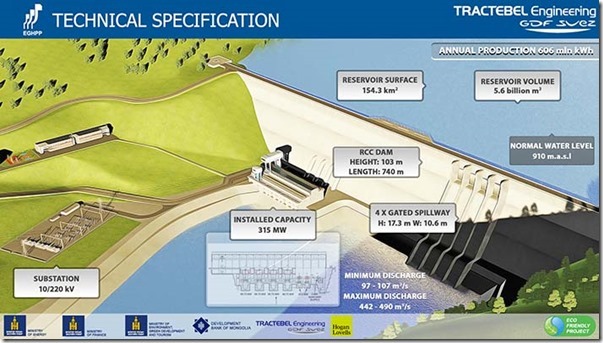 During its regular cabinet meeting held on April 12, the Mongolia Government decided to establish state-owned Eg River Hydro Power Plant LLC («Эгийн голын усан цахилгаан станц»), which is responsible for ensuring the preparation of a project to build Eg River Hydro Power Plant and for construction and utilization of the plant. The Eg River (Egiin Gol, Эгийн гол) is the most water abundant tributary of Selenge in Mongolia, interconnecting two great lakes – Huvsgul and Baikal. 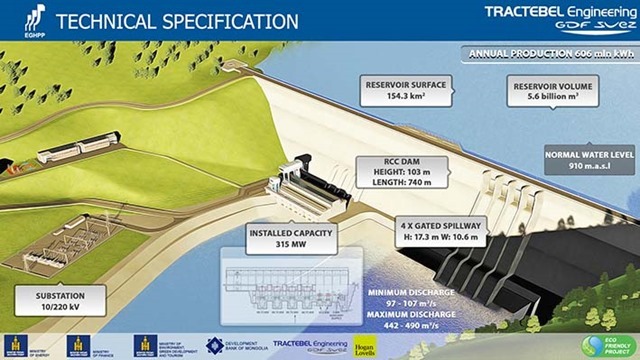 According to the Montsame News Agency the soon-to-be-established company will hold rights to own permissions required to implement the project, certificates regarding the land ownership and to establish sales and purchase agreements of energy and contracts on engineering, purchase, construction and others regarding the project to build the hydro power plant. The company will also be in charge of the operations of the plant once the construction is completed. 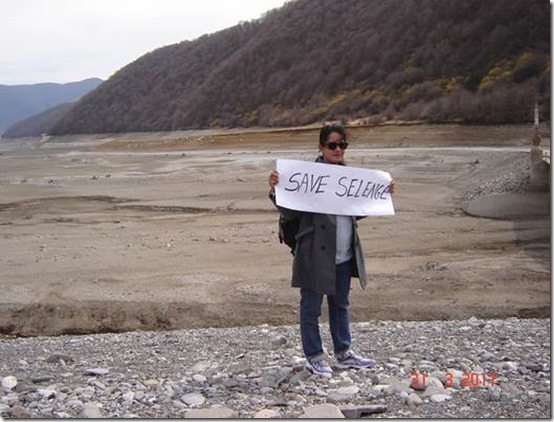 Meanwhile significant potential risks from planned large hydropower in Selenge Basin and deficiency of the Environmental Impact Assessment for Eg River Hydro (never released to the public) have been documented in the 2015 World Heritage Mission report by the IUCN and in the decisions of the World Heritage Committee in 2015 and 2016 . The Rivers without Boundaries International Coalition is firmly convinced that the new step undertaken by the Government of Mongolia presents an additional threat to the integrity of Selenge\Baikal ecosystem, unless it is accompanied by a clear credible explanation how the Government of Mongolia is going to implement 2015-16 World Heritage Committee decisions, which prescribe " Not approve any of the hydropower projects until the above-mentioned EIAs (individual for each dam) and assessment of cumulative impacts have been reviewed by the World Heritage Centre and IUCN". Just on February 22, 2017 the Mongolia’s Foreign Minister Ts.Munkh-Orgil issued a statement that Mongolia "discussed with Russia in detail the issue of hydro power plants in Eg River and Shuren Hydro (on Selenge river) , and resolved to conduct a (joint) study whether if the establishment of these power plants will damage or affect the eco system of Baikal Lake". Therefore the Rivers without Boundaries International Coalition fears that recent decision on "Eg River Hydro" State Company may constitute a violation of the World Heritage Convention, as well as several other conventions and bilateral agreements reached with neighbors. The Rivers without Boundaries International Coalition notes with regret that such a step by the Government of Mongolia casts doubt on practicability of further public consultations on Mongolia’s hydropower project assessment (World Bank – sponsored consultations are now underway in Russia), because this step vividly demonstrates unwillingness and unpreparedness of the Government of Mongolia to improve their decisions and actions through internationally recognized tools: comprehensive assessments of impacts from planned hydropower and public consultations thereof. The Government of Mongolia clearly demonstrated that it is not ready to take into account any critique and recommendations from environmental experts and public of both countries, as well as conventions’ governance bodies and international community.